Chinese New Year is around the corner, have you get ready on the Chinese New Year dishes? 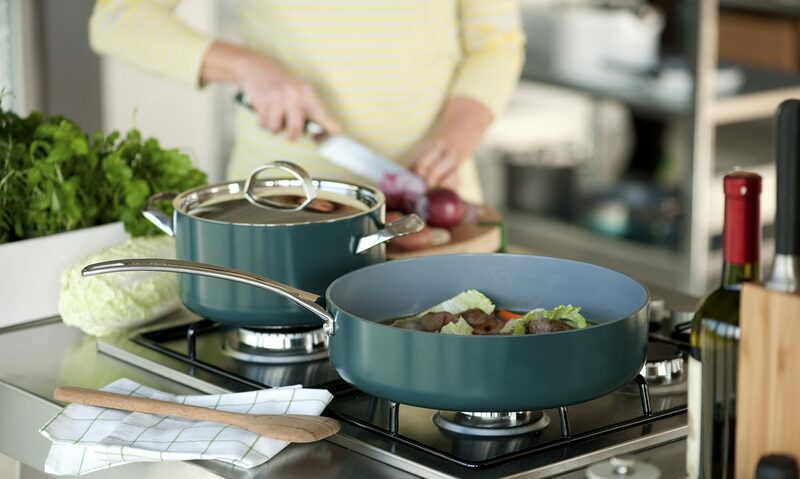 Here is something that excites you! 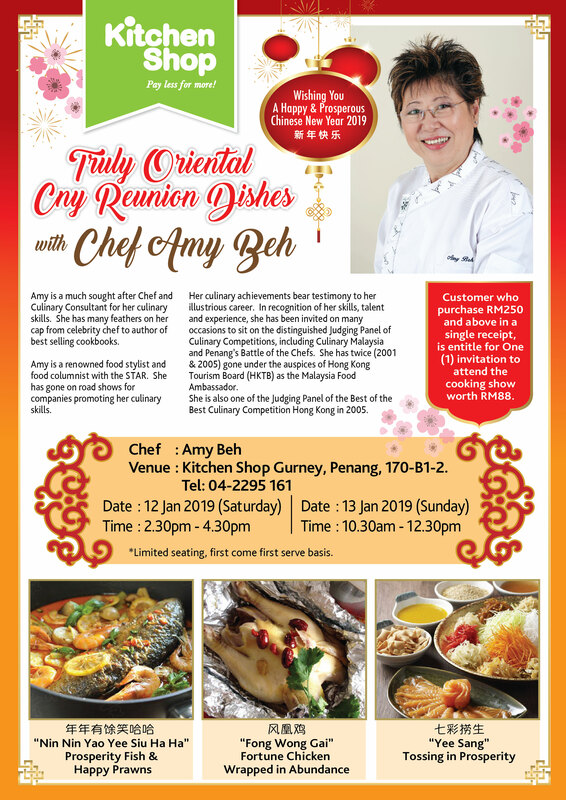 Please feel free to join us at Kitchen Shop Gurney Plaza (Penang) on 12th Jan (Saturday, 2.30pm) & 13th Jan 2019 (Sunday, 10.30am) with Chef Amy Beh on how to cook unique CNY dish that will surprise you and your family. *Seats are limited and is first come first served basis. Sign up now at Kitchen Shop Gurney / Call 04-229 5161 to book a seat. Grab your seat before it is too late. Chef Amy culinary achievements bear testimony to her illustrious career . In recognition of her skills, talent and experience, she has been invited on many occasions to sit on the distinguished Judging Panel Of Culinary Competitions, including Culinary Malaysia and Penang’s Battle of the Chefs. She has twice (2001 & 2005 ) gone under the auspices of Hong Kong Tourism ( HKTB ) as the Malaysia Food Ambassador . She is also one of the Judging Panel Of The Best Culinary Competition Hong Kong in 2005.